Apartment in Palermo Soho, Buenos Aires - Camel Loft ! 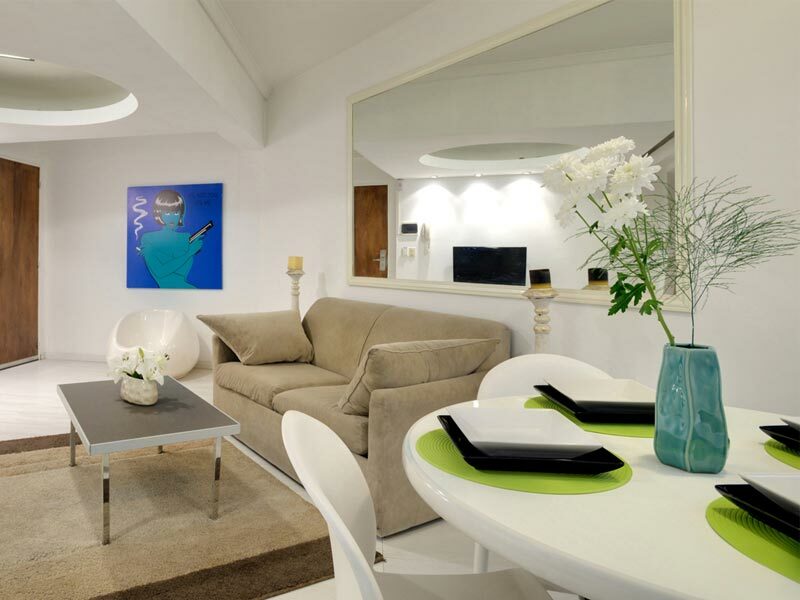 Sleek 620 square feet one bedroom apartment in a favoured location of Palermo Soho. White and bright fuse with earth tones to make this a perfect setting! 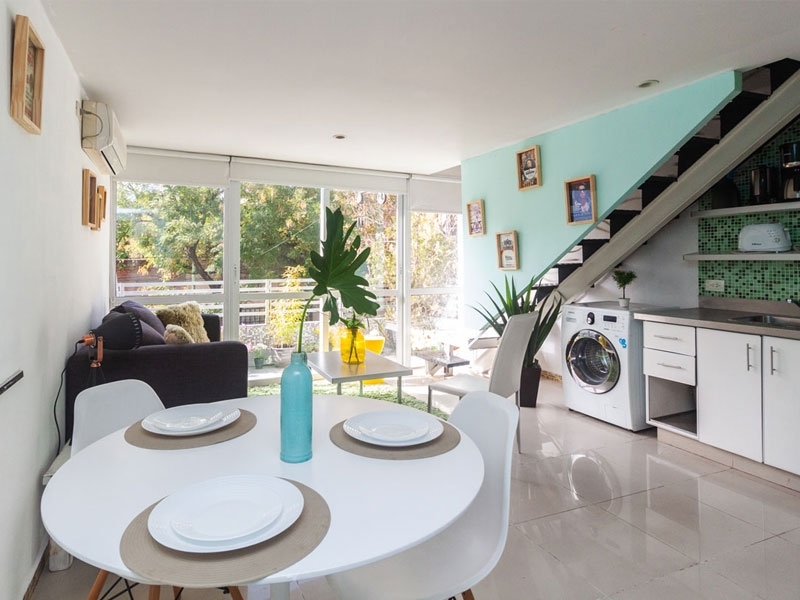 Simple, yet elegant, this apartment for rent in Buenos Aires has everything you need for a comfortable stay. Open plan kitchen, bathroom with jacuzzi, plenty of closet space and lots of light, this apartment is a great choice for both couples and solo travelers. The living room also doubles as a dining area and can comfortably seat four at its retro table. If you decide on a quiet night in why not make use of the home theater and enjoy a movie with a glass of wine, or even two! Camel Loft has a very natural feel, with lots of soothing browns and neutral shades, a great place to chill after a busy day exploring the city. This apartment is set in the same building as White, Blue, Violet, Red and Orange Lofts, so it is also ideal for a group of friends or work colleagues looking to share a vacation or work assignment while still having your own privacy and space – A great alternative to a hotel room!